We are BBT Breaking Barriers Translations! Based in the United States, we provide translation services for government, corporate and individual clients in the US and internationally. Contract translation and Translation of Legal Documents from Hebrew into English. 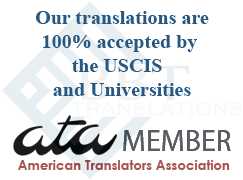 - An American translation group of translators. We have in house Hebrew and Spanish language speakers. Call us for a free consultation. Thank you, Ruth! Your translaitons are accurate, well written, and professional. Everything I needed was finished so quickly...the next day! You are easy to work with and made my whole experience wonderful and stress free. The prices are reasonable, too. My search for the best translating service is over. If you need to translate a contract or to translate legal documents in general, BBT Translation Services provides a variety of high quality professional legal translation services. 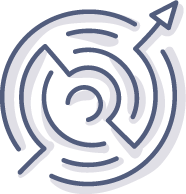 We translate contracts accurately, professionally and fast. Our team of translators is experienced and has legal background. We can translate Hebrew into English, Spanish into English, Russian into English and almost any other language in the world. We, at BBT Translation Services know that in translating contracts there is a need to translate the text accurately by paying attention to the legal jargon. The translations are certified and notarized. Our translations are kept in the utmost secret and confidential manner. If you need we can sign a Non Disclosure Agreement with you. Here at BBT Translation Services we pay attention to personal customer service and if you have any questions or concerns you can call us and we will be happy to provide free and friendly consultation. We provide personal and friendly service. When you contact BBT Translation Services you will have one point contact who will follow the entire translation process. We provide high quality translations with first class customer service. Try our Hebrew to English or Spanish to English translation services.